There are plenty of examples of games recently being pushed as a form of ‘art’. But how about a game where every detail is meticulously hand-drawn? Surely something that is designed via the more traditional method of ‘art’ using pen and paper proves the point and must be used as a prime example? Gorogoa is the game to show the detractors; a beautiful, hand-drawn game that underneath its stunning exterior is a tricky puzzler. 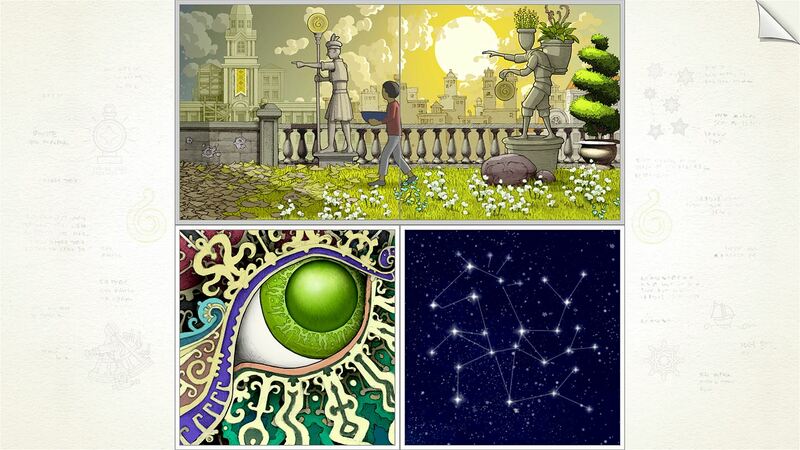 Upon first appearance, Gorogoa is a four-panel game where the player must swap tiles about to change the perceptions of the tiles and continue the story. In actual fact though, players need to do so much more such as zooming in and out of the panels to alter the images, placing tiles with identically placed doors on top of each other, or even joining like-minded panels together to make a bigger panel. With this manipulation of panels and moving them around, it comes as no surprise then that Gorogoa originally launched on iOS back towards the end of 2017 and the controls translate well enough from touchscreen to controller… in the main game at least. The options screen can be a bit fiddly at times with sliders and scrolling being used to navigate around it, but this is a menu you will spend minimal time in. Gorogoa follows the journey of a young boy who has repeated visions of a large dragon-like creature. In an attempt to rid the world of this dangerous creature, the boy must collect 5 different coloured fruits in his blue bowl, replicating an image he sees in a text book when researching the dragon’s origins. He does this by travelling through space and time. This was the message I got when playing through the game; Gorogoa though contains no speech or text so is purposefully ambiguous in its’ story telling. In one instance the boy travels through a series of photos from various war-torn environments that a player may relate more to than another. On one side it is enjoyable being able to apply your own narrative to ensure it is more personal to you, but also any sort of direction would have been appreciated. 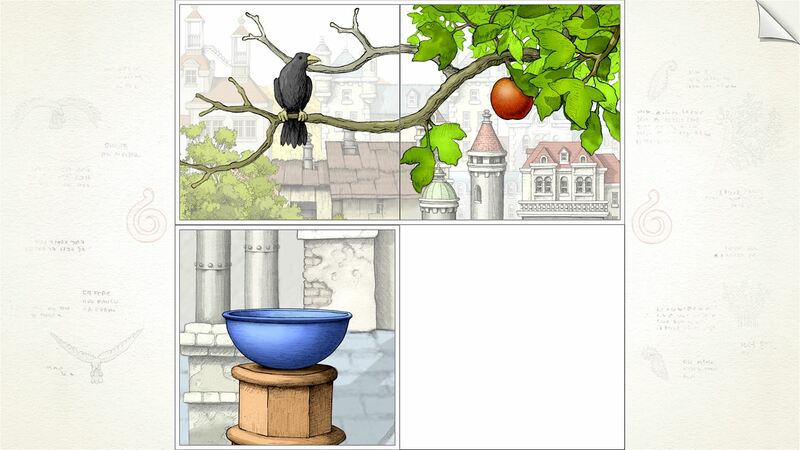 Whilst the puzzles can be tricky, the main difficulty comes from finding the object or view you require. A certain example would be during the fourth chapter where you are required to repeat the same technique three times. By the third time you will know what is expected of you but you then need to find the object required to manipulate the pictures, and that can take some time. There are in-game pointers available from the options menu – which are on by default – but using those detracts away from the immersion and ‘puzzle-solving’ aspect. The soundtrack helps keep the immersion going where the hints fail. It isn’t always noticeable and is more often ambient, but when it does kick in, it fits in with what’s going on on-screen and helps the player understand where their attention needs to be. Included in the Xbox One version of the game is the original 2012 demo too. It’s interesting to play this after the main game and see where a lot of the ideas originally came from. It plays mostly like the start of the game, but towards the end, the demo starts to introduce some of the later game aspects and ideas. 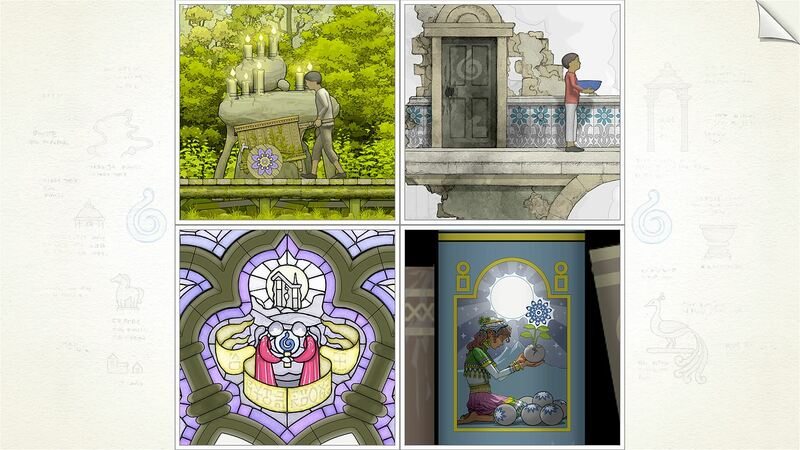 Gorogoa features thousands of hand-drawn illustrations; some take up a tiny portion of one panel, whilst others take up every space of the four combined. So, it is disappointing then that even with the vast number of different illustrations to explore, the entire game can be completed with a first playthrough within two hours. There is even an achievement for completing the game within 30 minutes which is quite likely to happen on a second playthrough. Once you have completed it, there is a chapter select to replay favourite sections, but I think the game really needs a gallery mode to view each individual illustration in its purest form. These drawings are all exceptional, the artist Jason Roberts has an immense talent, so I would love the opportunity to just look through the illustrations without the need to manipulate and move them around. Most of the other achievements in the game are story-related and will be earned just by playing. There are a couple for speedrunning through things in less than 30 minutes and under 500 moves, and a couple for doing certain things during set-pieces, but overall this is a very easy title to gain completion with. Gorogoa also comes priced at £11.99 which is expensive for the length of the experience you are getting, but it is clear that a lot of love and attention has gone into this game which helps justify the cost a bit better. As an experience, Gorogoa offers a melancholic one. It is not always obvious what is being referred to, and the ambiguous nature of the story offers its own pros and cons. As a puzzle game, it is a unique one that is worthy of the accolades already given to it on iOS. The illustrations are truly breath-taking and the way the panels fit together and interact are ingenious. 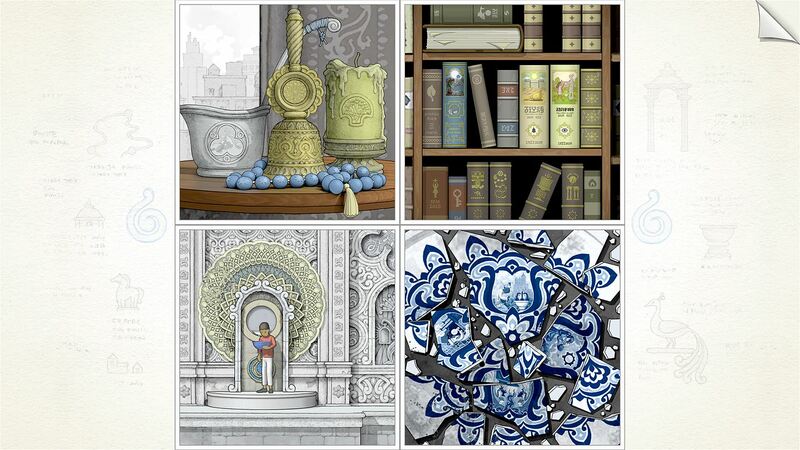 It’s just missing a way to truly appreciate the artwork outside of the main narrative, as crucially these are what you will remember most about Gorogoa.